There were 676 press releases posted in the last 24 hours and 153,502 in the last 365 days. Boston are pleased to host Nyriad at SC18 in Dallas, between 12-15th November, who will be running two demonstrations on the stand [Stand #3255]. DALLAS, TEXAS, USA, November 7, 2018 /EINPresswire.com/ -- Boston are pleased to host Nyriad at SC18 in Dallas, between 12-15th November, who will be running two demonstrations on the stand [Stand #3255]. 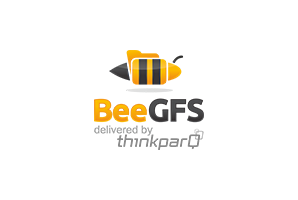 The first demonstration, in partnership with BeeGFS, the leading parallel cluster file system developed by ThinkParQ; will harness Nyriad’s NSULATE that complements BeeGFS to enable high performance, scale out parallel file systems with data resilience beyond RAID. NSULATE enables high performance from BeeGFS and XFS even in the face of a large number of simultaneous drive failures, critical for maintaining I/O throughput when dealing with extremely large datasets typical in HPC. This solution is being tested in the research and development departments of all organisations, including at the world-famous Boston Labs where the final solution on the Boston Igloo Nebari will be hand-tuned and optimised to run on a large-scale at very high performance. “Nyriad’s and ThinkParQ’s businesses are highly complementary with little or no competitive overlap. By collaborating, we can address market needs which are difficult or impossible for either of us to address alone,”says Frank Herold, CEO of ThinkParQ. The second demonstration on the booth will be utilising Nyriad’s “Warpdrive” demo box, developed in Nyriad Labs that harnesses a NVIDIA Tesla P4 GPU running a Linux filesystem better than a RAID controller or a CPU can. This interactive demo will begin on the booth at 11am each day. A further demonstration of the Boston Igloo Nebari, a GPU-accelerated alternative to RAID that enables real-time hyperscale erasure coding up to 255 parity, will take place on the Micron booth.